While every project is unique, ALCHEMY studio uses our background in experience design and development along with our knowledge of museum visitors to identify what might be the critical aspects of the experiences that drive our content development and experience design. ALCHEMY studio creates experiences and designs that take people “into” a world different than the ones they normally encounter and reflect the content in ways that help visitors link to the story of the experience. 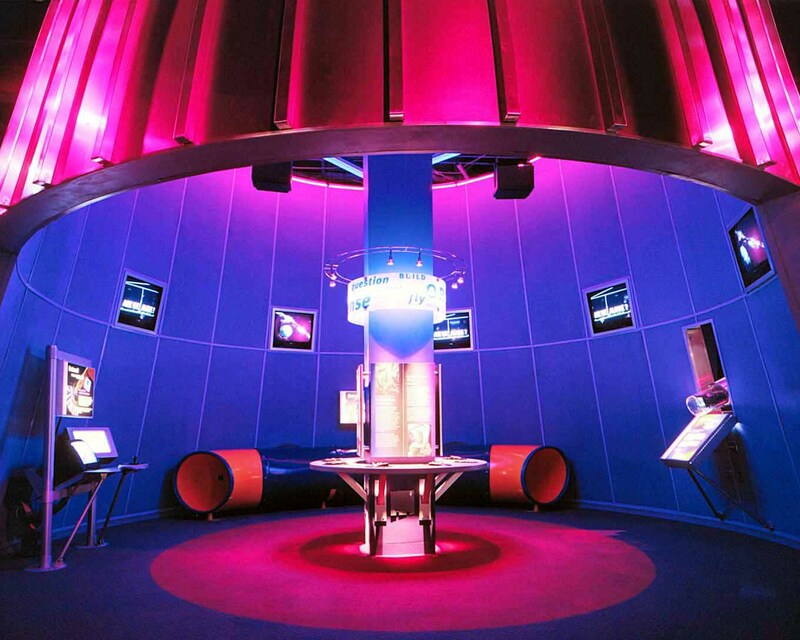 Our intent is first to utilize the unique environment we are given to take people into a place unlike any other they have known, unlike any museum they have visited. We firmly believe that people look for authenticity, and, where possible, also look for real objects and real processes. ALCHEMY studio looks to create experiences that people remember, that have impact, and that coax them to return. We create memories that people will “re-remember” for a lifetime. Our approach to the content and design of experiences is to connect with visitors’ abilities and knowledge. While “out of this world” is compelling and memorable, it’s also important to be able to connect this important content to what people can see and do every day.